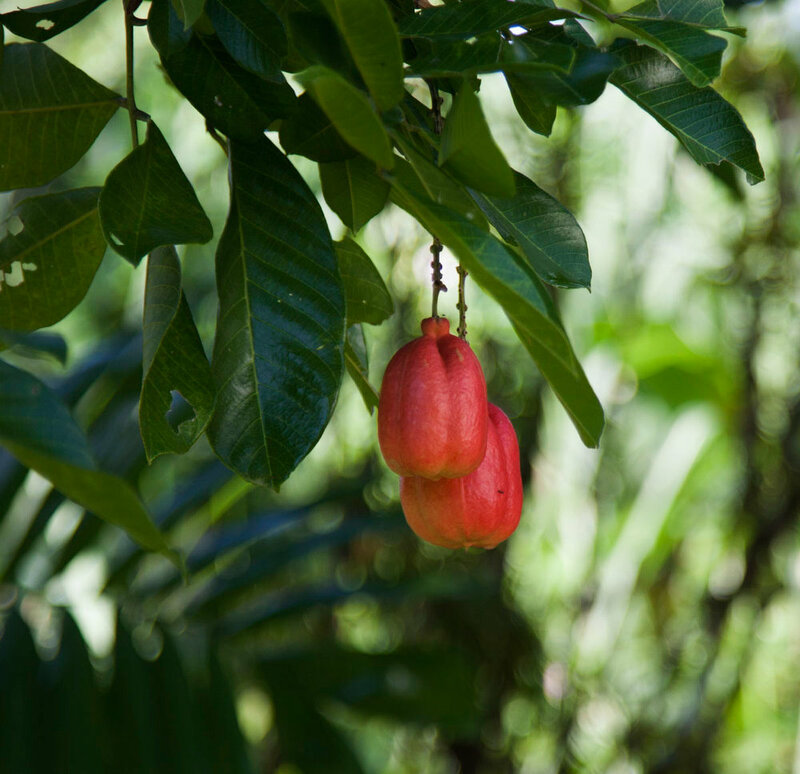 Like fairy tale apples proffered by a wicked witch, young ackees are deceptively seductive - shiny, red, and fatally poisonous. When Jamaican Public Services came to our gate, announcing that our ackee needed to be pollarded back from the powerlines, I remembered the tree we'd had to cut back in London - the team with the chainsaws, the council permission, the pavements closed, health and safety on high alert. This time a slender man shinned up the tree, long sleeves and trousers tucked into boots his only protection, and sliced each branch off with a single strike of his machete. One strike - no hacking or sawing, just a razor-sharp, lightning-swift whip, until half the tree lay at his feet, with only a few sad stumps sticking out from the trunk. Those brutal edges are softened with new growth now, light green, full of life and already heavy with ackees, almost ready to sate us with their soft sensual centres.